That’s what some people think and want. They say Christian beliefs and our way of life aren’t relevant anymore. But what critics and even many churchgoers don’t realize is the life-changing importance of Christianity. 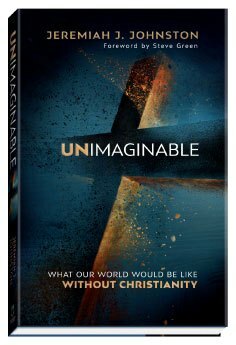 Showing how the world would be a dark place without Christianity, Unimaginable guides you through the halls of history to see how Jesus’ teachings dramatically changed our world and continue to be the most powerful force for good today. Learn . 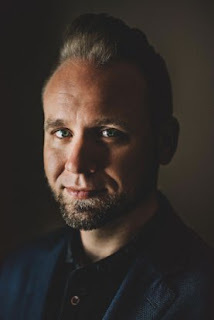 . .
Jeremiah J. Johnston, PhD, is a New Testament scholar and frequent contributor to national publications and shows, including USA Today, Fox News, CNN, Relevant, The Christian Post, and numerous other media outlets. Known for his unique communication skills and his infectious love for people, Jeremiah ministers internationally in partnership with the Museum of the Bible and is president of the Christian Thinkers Society, a resident institute at Houston Baptist University, where he serves as Associate Professor of Early Christianity. He is the author of Unanswered: Lasting Truth for Trending Questions. Jeremiah and his family live in Houston. Learn more at ChristianThinkers.com. This book asks the question - "What would our world be like without Christianity"? Have you ever considered this? It's actually not hard to imagine that happening in this country (US) as we fall farther and farther away from God's principles. It's a very frightening idea to me, though, as it's only through God's ways that we have the pureness of right to guide us. This book digs into the lives of different historical figures and how their faith or lack of faith shaped their worldview. I found this very interesting as I enjoy history and seeing how these different men believed and how this view shaped the world around them was interesting. We see how the men who believed in Christ lived their lives in an upright manner, always trying to do the right for others. The men who weren't Christian, ruined those around them and evil ruled their thoughts and actions. He shares the Gospel and what it is like for those who accept Jesus into their lives. I liked this section of the book a lot because it just reinforced my own beliefs and also gave me more information as I share the Gospel with others. It's just a great reminder of why having Jesus in our world and in our lives is the greatest thing for us all. This is a very good book about what Christianity does for us as people in our own lives, countries and the world. It's a book that makes you think but also reinforces why it's a good thing to believe in Christ. I highly recommend this book and give it 5 out of 5 stars.